Blogger Nepal Tricks and Tips How to fix Wifi icon missing in window 10? Wifi logo not shown in window 10 is a common problem faced by most of the devices. Not any wifi list is shown in wifi list. It states that "No internet access" even though you are in internet accessible areas. I have gone through various methods shown in various internet side but I don't get my problem solved. Then, I get this idea from brother which really helpful to solve the problem. I think this idea would be helpful for others as well so, I am sharing this wifi fixing solution in this article. Before, moving to solution section first you need to know for which problem did this solution really works. Let's familiarize with the problem first. 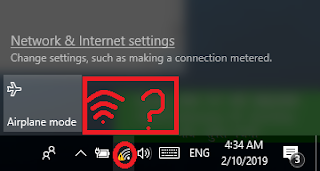 When you just open your laptop you may find this issue related to "missing wifi icon so that you can't connect to internet" when clicking on wifi symbol. No wifi list not even wifi icon. The actual problem this solution would solved is shown in the figure below. 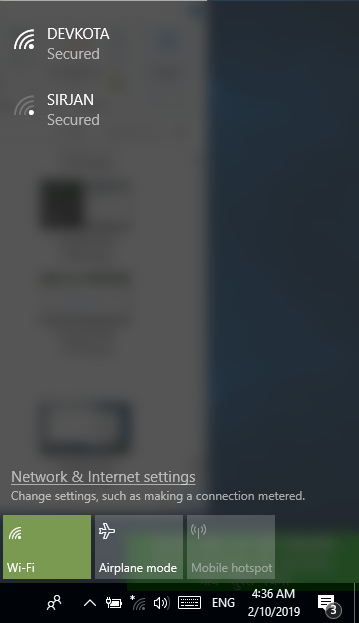 When you click on small wifi icon on the taskbar you would not find wifi icon there. So, you not able to connect to your wifi. If this is your problem then lets begin with the solution. You need to Search for Device Manager in the search. 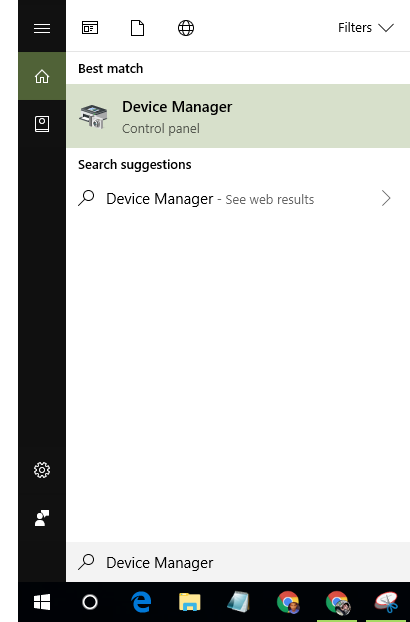 When you type "Device Manager" and press Enter then the window of Device manager open. 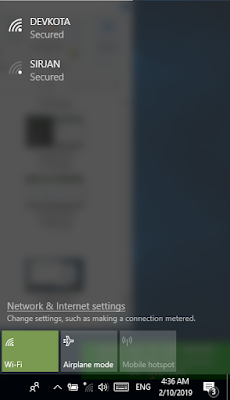 There you have to click on "Network Adapters" from the list. When you do that now you have to right click on "Qualcomm Atheros QCA 9377 Wireless Network Adapter". Then, click on 'Update driver' as shown if figure below. You would get two options for that then you have two select second one "Browse my computer for driver Software". Again, there appears two options infron you have to make choice of "Let me pick from a list....." just clicking on it. After that you can select any one of the option either one and click Next. The computer starts Installing drivers. You need to wait for a while. When installation completed your problem need to be solve by now. Click on 'Close' when it shows "Windows has successfully updated your drivers". 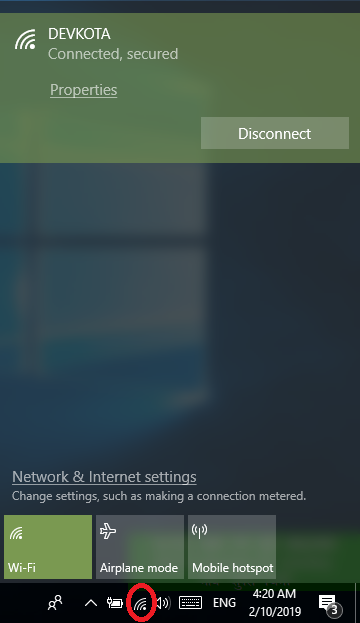 You get a fresh start in wifi icon then you get your wifi icon back again with available wifi list. The wifi auto connected or you make connection to any of the wifi which is accessible for you. I hope with this you have your problem solved. If you find any difficulties in solving this please free to share with us. Don't forget to give comment below about this article and how helpful is this for you.